I tried the Skin Renew and Clinical Protection deodorants and was extremely impressed with both. Specifically the clinical protection. It works amazing at keeping you dry and feeling fresh all day, and while it's too early for me to tell whether or not it reduces dark marks, Dove claims it will visibly reduce it in just 2 weeks! So, do you want to try them with me? 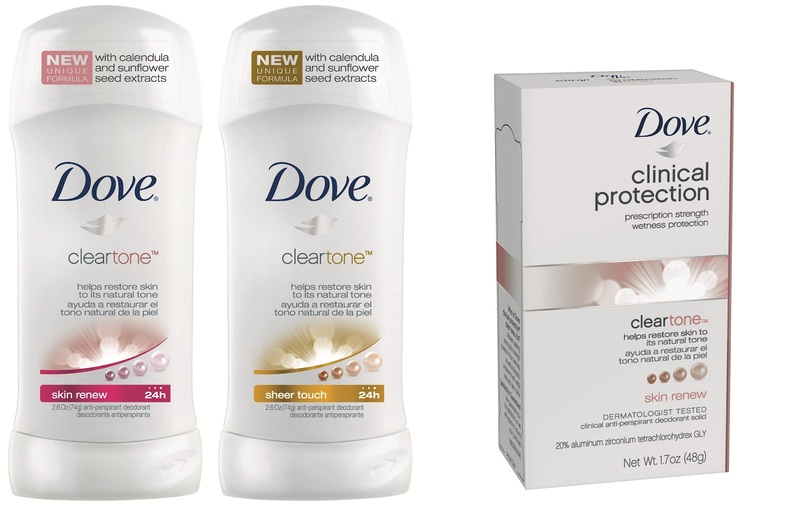 Dove is giving 2 of my readers the same Clear Tone Skin Renew and Clinical Protection anti-antiperspirant deodorant to see the Dove difference for yourselves! Remember each one counts as a different entry so be sure to enter them separately. You may tweet once a day if you'd like, but be sure to leave comment on post about your re-tweets. I do check and verify entries. Giveaway ends April 19th . A winner will be selected by random.org and will be notified via email. UPDATE: Congratulations to Gina M Maddox and Yona Williams you both won!! I'll be contacting you shortly! I would love some deodorant! Can't have too much! I'd love to win this...thank you for the chance. 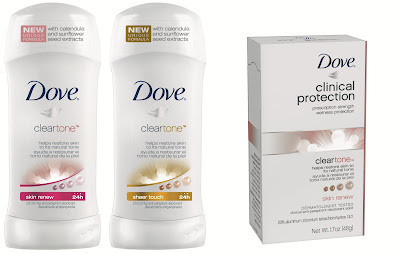 Id like to win thanks for the giveaway, Dove is great!